Good morning! 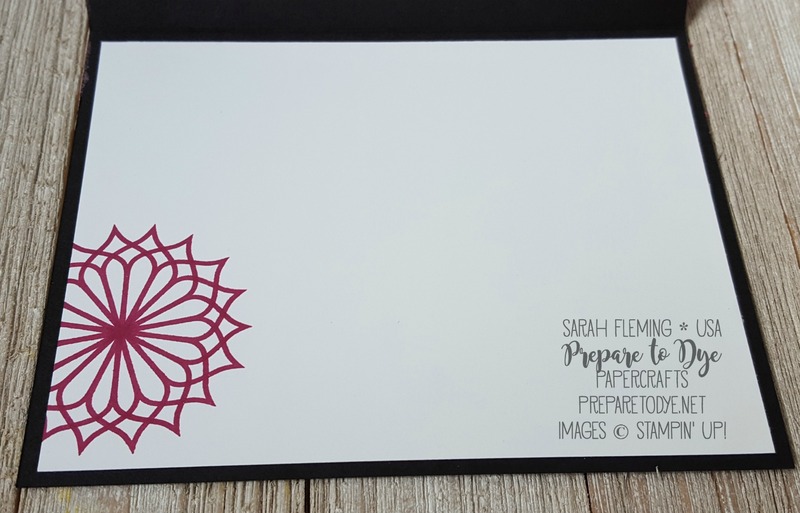 Sara Levin has asked me to be a guest designer on the Stamping Sunday Blog Hop today, and of course I’m delighted to be asked! So thanks for stopping by my blog today. Make sure to hop all the way through the hop so you can find lots of inspiring projects using the new Embossing Paste. It is no secret that I’m in LOVE with this stuff, so I was happy to hear that this is what we are featuring on the hop today! My first card uses the diamond pattern from the Pattern Party Decorative Masks and the Embossing Paste colored with Bermuda Bay re-inker. I love that you can turn this paste any color as long as you have the reinker! 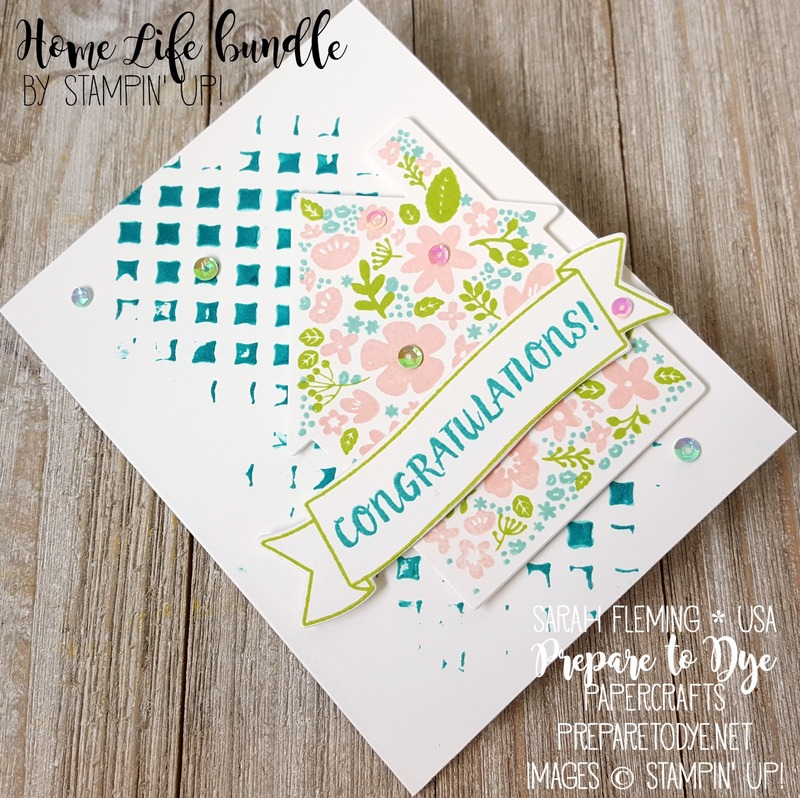 And that gorgeous flowery house is from the Home Life bundle. The house is done with three stamps, in Pool Party, Lemon-Lime Twist, and Powder Pink. The matching framelits cut the house out perfectly. And the embossed pattern behind the house kind of reminds me of a garden trellis. 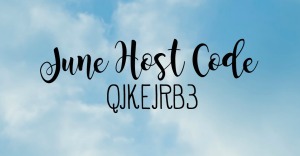 The banner and sentiment also come from the Home Life bundle. I finished the card off with sequins from the Iridescent Sequin Assortment. For my second card, I wanted to show you how the Embossing Paste looks when you put it on black cardstock. Awesome, right?! This time I colored the paste with Berry Burst ink, just one drop. I used the giant medallion mask from the Pattern Party masks this time. I absolutely LOVE that you can get this bright color on a black background with so little effort! The medallion matches the dies from the Eastern Medallions thinlits perfectly! I cut the Whisper White medallion using the thinlits to contrast with the black and Berry Burst background and cut out the outer edge of the medallion with one of the Layering Circles framelits. I finished the card off with the sentiment and silver and white sequins from the Metallics Sequin Assortment. 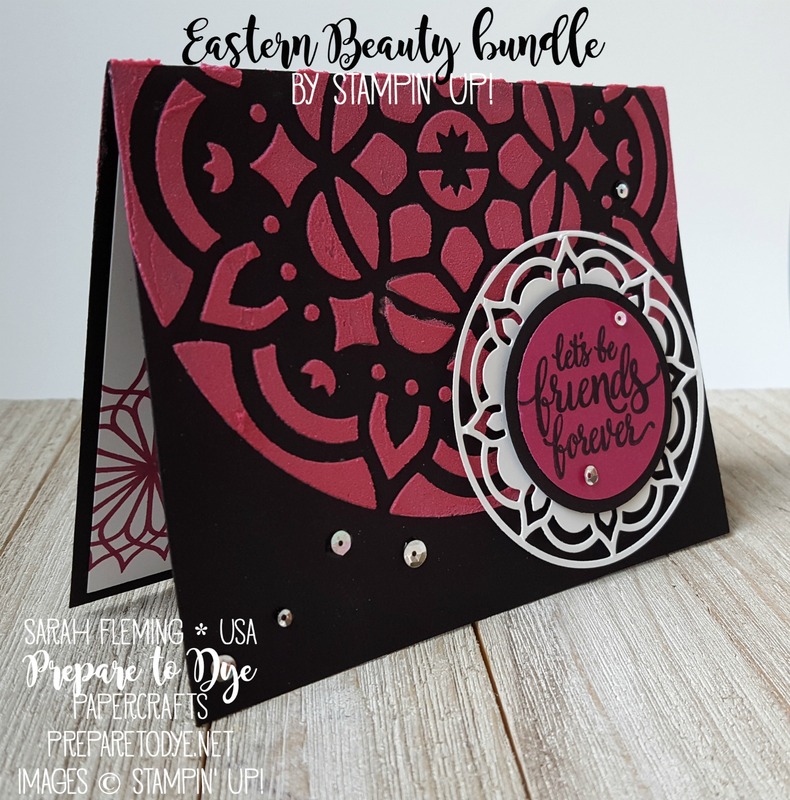 I stamped the inside with a flower from Eastern Beauty, triple stamped in Berry Burst. Isn’t Embossing Paste a blast? There are so many gorgeous and fun ways to use it. Beautiful Sarah! I think we were channeling similar creative ideas. 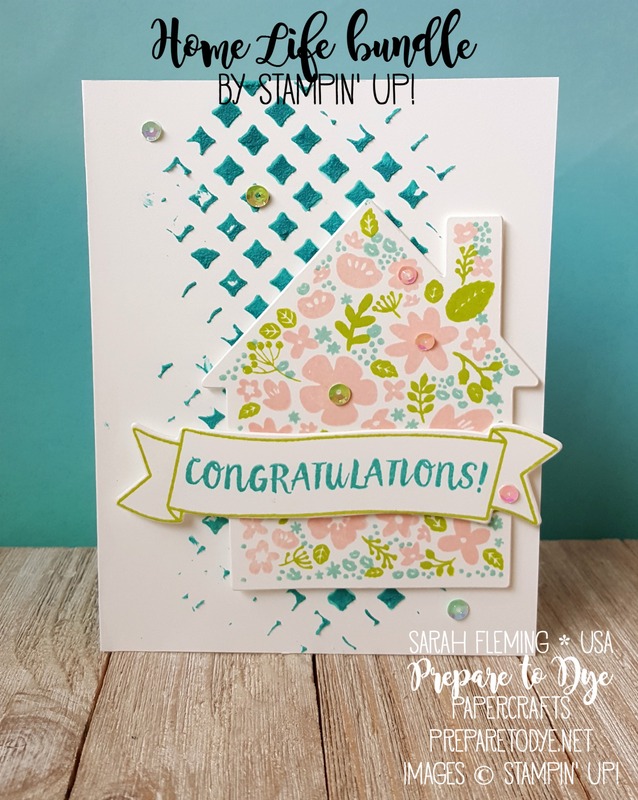 Thank you for joining us this week as a guest hopper for Stamping Sunday!! Wonderful projects, Sarah. Thank you so much for hopping with us today. Love the medallion on the black background. Stunning. Did you really use just one drop of Berry Burst? Wow, that is a strong color! Wow! The colour on the black yardstick is absolutely striking! And the colours of the Home Life card are some of my favourite! Beautiful projects!